Finding a residential locksmith in Waco you can rely on shouldn’t be complicated. At Waco Locksmith Pros, we provide a wide array of services, including home lockout services, mailbox lock installations, and we can help you enhance your home security without breaking the bank. You never know when you are going to need a residential locksmith in Waco TX. All could be going well until a key breaks off in your front door when you try to open it. If you have kids, you might find that you need a bedroom lockout or bathroom lockout service from time to time. This is because they might refuse to open a door or one of the doors has been locked by accident and no one is on the other side in order to open it. We provide a 24-hour emergency locksmith service to ensure you are able to maintain the highest level of security for your home at all times. Whether you need burglary damage repair at two in the morning or you need broken key extraction late at night, we are always here for you. You can also count on us to use some of the top brands on the market, including US Lock, MarksUSA, Sargent, Yale, Schlage and more. Our locksmiths have many years of experience and are constantly researching new brands as well as the latest technology. Our extensive lock services mean that we work with a large number of locks, including high-tech locks, keyless entry locks, mortise and profile cylinder locks, biometric locks, and much more. This makes it easier for you to get the high level of security that you desire. This is just a small taste of what our residential locksmith in Waco TX can offer you. Call us today and let us prove our experience and our professionalism! Who Choose Waco Locksmith Pros For Your Home Security Needs? When you require home locksmith services in Waco Texas, we are prepared to help you. As a mobile locksmith company, our vans are fully equipped with the latest technology as well as a wide array of top brand parts. This makes it easy for us to provide a residential lock change, a lock rekey, or anything else without having to go back to our warehouse. As a local locksmith company, we are insured, bonded, and licensed. We provide upfront pricing and you will never see hidden fees from us. We are happy to handle full installation and repair services for locks for your home. We can also deliver expert advice on the type of security that is needed based upon your budget as well as your location. At Waco Locksmith Pros, we aren’t your ordinary residential locksmith provider. We offer an array of services, including peephole services, home security audits, residential rekey services, and more. 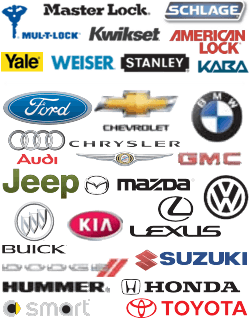 We are also a commercial and automotive locksmith company, allowing you to call us for whatever you might need. We are prompt and affordable and we look forward to helping you with any typical or emergency locksmith services. Fill out the Waco Locksmith Pros customer contact form or give us a call today! Residential https://locksmithwacotexas.com/residential/ 4.0/5 based upon 8 reviews.